The next weeks will be full of surprises and of course…a lot of apps! We are proud to announce that HEKA+, an app developed with Open API 2.0 is now available world-wide for Android on Play Store and in Enterprise version for the iOS devices. Now you can enjoy the new features of this amazing app and take the maximum from your HELO LX+, with a new user interface and the access to all the measurements of your amazing device. 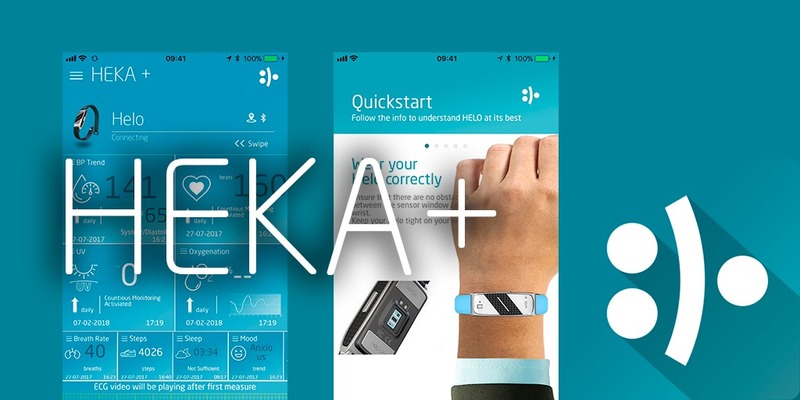 HEKA+ App monitors your bio-parameters and suggests tips, to improve your lifestyle and reach a new wellbeing level. Android version is available right now. iOS Version will be available in the next few days. In the meanwhile, you can use the Enterprise version. To install HEKA+ as enterprise version you need to trust the developer: discover here how to do. Visit PlayStore now or our HeloAppStore!